At the start of the Tuesday bird walk we scouted out a rare bird for this area—an Indigo Bunting. We saw the Bunting where it had previously been reported, in the 4900 block of Nicholas Street in Port Alberni. It was a rare treat to see this bird here. The Indigo Bunting is usually seen in eastern and southern United States at this time of the year. Indigo Bunting: John Purves Photo. The Tuesday bird walk went to the Somass Estuary in Port Alberni. The morning was cloudy with light showers and calm winds. many Greater Scaup and several Lesser Scaup were seen resting on the side of the trail and flew into the estuary as we walked by. On the drive home from Port Alberni we saw a Turkey Vulture and four Trumpeter Swans along the highway. 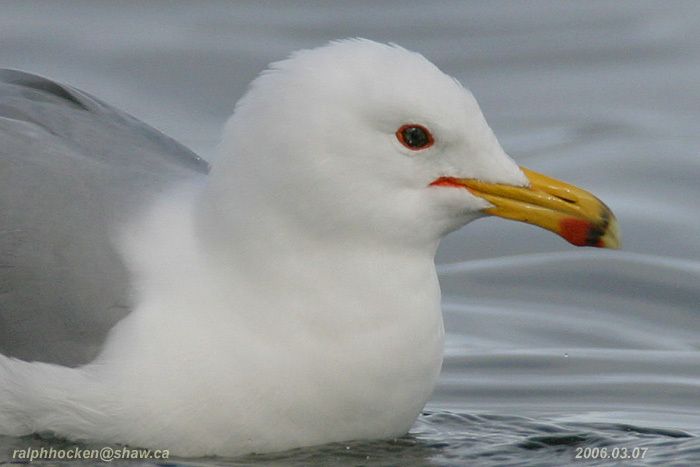 The Tuesday bird walk on April 04, 2017 will be going to Rathtrevor Beach Provincial Park in Parksville. Meet at the Parksville Community Park at the parking lot near the Lions Club Kids Playground at 9:00 a.m. or at the main parking lot at Rathtrevor Park at about 9:10 a.m. The Sunday bird walk went to Neck Point Park in Nanaimo. The morning was cloudy with heavy rain and very strong winds off the Strait of Georgia. We heard a Yellow-rumped Warbler singing at the start of the walk. Harlequin Ducks, Bufflehead and Common Mergansers were on the Strait. A Downy Woodpecker was seen feeding on a bush just off the trail. American Robins were plentiful throughout the morning. Turkey Vultures have been seen over Colbourne Road in Nanaimo and Meridian Way in Parksville. A Common Snipe was seen at Buttertubs Marsh in Nanaimo. Rufous Hummingbirds have been seen at feeders along Dolphin Drive in Nanoose Bay, along Morell Circle in Nanaimo, in the 800 block of Harewood Mines Road in Nanaimo, on Meridian Way in Parksville, the top of Colbourne Road in Nanaimo, in Ladysmith and two were seen at the Little Qualicum Village. They are back! Spring MUST be here! An Indigo Bunting was seen visiting suet feeders in the 4900 block of Nicholas Street in Port Alberni. 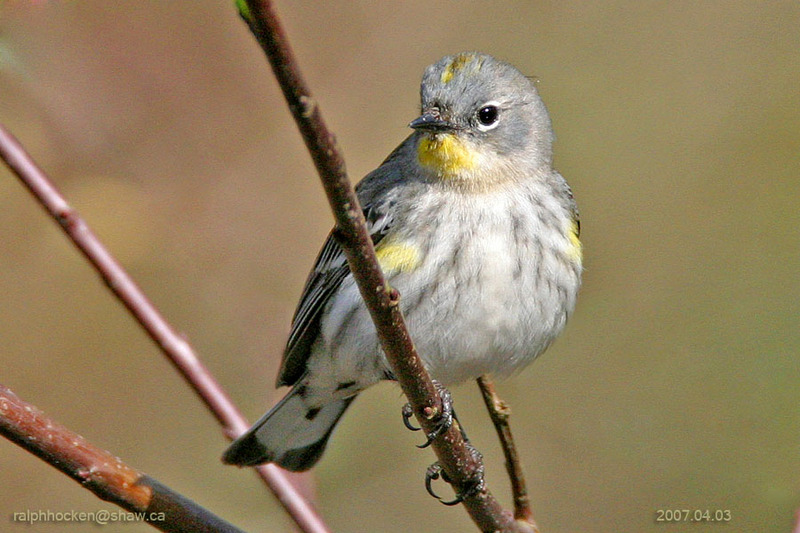 A Yellow-rumped Warbler was seen visiting a suet feeder near Christopher and McGirr in Nanaimo. The Tuesday bird walk went to the Columbia Beach. The morning was cloudy with light rain and a light wind off the Strait Of Georgia. We saw hundreds of Brant Geese offshore from Columbia Beach. Thousands of Mew Gulls, California Gulls, Thayer's Gulls, Glaucous-winged Gulls and newly arrived Bonaparte's Gulls were in the area all morning. Numerous Pacific Loons and Common Loons were seen on the Strait of Georgia. A Brandt's Cormorant, a Common Murre and a Pigeon Guillemot were observed further offshore. Over twenty Long-tailed Ducks were heading up the Strait. Black Turnstones, Black-bellied Plovers were resting along the many big rocks along the shoreline. 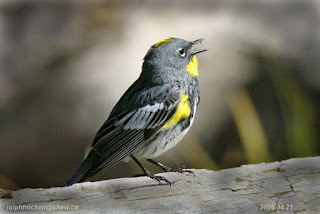 Song Sparrows, a White-crowned Sparrow, a Golden-crowned Sparrow and an Anna’s Hummingbird were seen just off the road. There are thousands of Surf Scoters, Gulls, Dunlin and Plovers at Parksville Bay today. 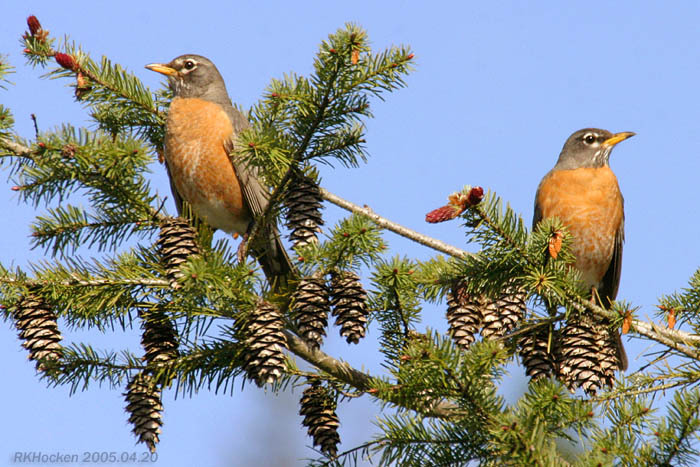 The Sunday bird walk on April 02, 2017, will be going to Shelly Road side of the Englishman River in Parksville. Meet at the Birdstore at 9:00 a.m. or at the end of Shelly Road off highway 19a in Parksville at about 9:25 a.m. The Tuesday Bird Walk went to Columbia Beach. The morning was cloudy with light rain and a light wind off the Strait Of Georgia. 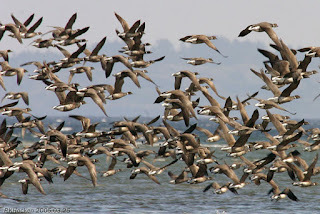 We saw hundreds of Brant Geese offshore from Columbia Beach. 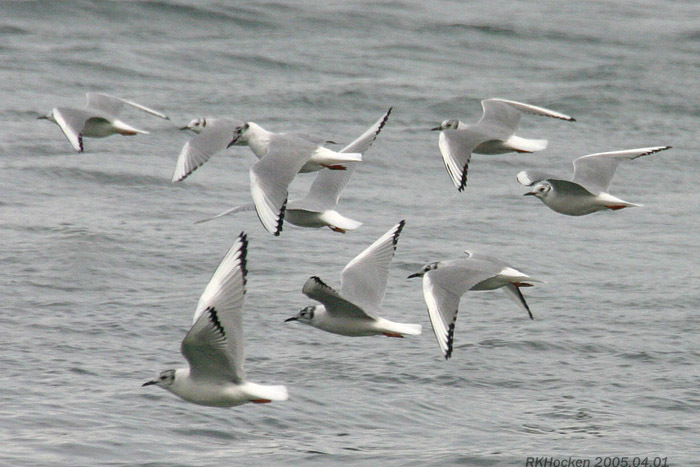 Thousands of Mew Gulls, California Gulls, Thayer's Gulls, Glaucous-winged Gulls and newly arrived Bonaparte's Gulls were in the area all morning. Numerous Pacific Loons and Common Loons were seen on the Strait Of Georgia. 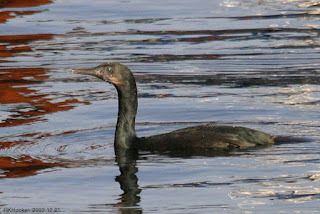 A Brandt's Cormorant, a Common Murre and a Pigeon Guillemot were observed further offshore. 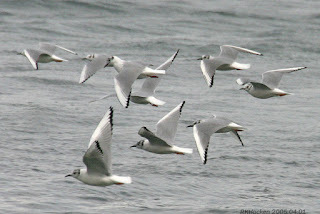 Over twenty Long-tailed Ducks were heading up the Strait. Black Turnstones, Black-bellied Plovers were resting along the many big rocks along the shoreline. Song Sparrows, a White-crowned Sparrow, a Golden-crowned Sparrow and an Anna’s Hummingbird were seen just off the road. Monday April 3rd 2017 at 7 PM Vancouver Island University, Building 180 Room 134.
and help to get a naturalists’ club going again in Nanaimo. The Sunday bird walk went to Bowen Park in Nanaimo. The morning was sunny with calm winds. 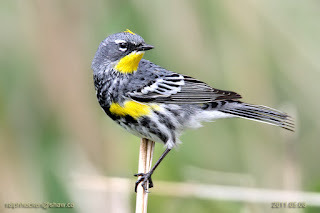 A Yellow-rumped Warbler was heard and then seen at the start of the walk. An Orange-crowned Warbler was heard singing. We saw a Pileated Woodpecker working on his nest hole and two other Pileated Woodpeckers hammering a snag. Seven Brown Creepers were seen throughout the morning climbing up the trunks of trees. Bewick's Wrens and Pacific Wrens were seen several times and they entertained us all morning. Two Downy Woodpeckers were pecking at a tree very close to the trail, giving us a great show. Four Band-tailed Pigeons were seen along Meridian Way in Parksville. 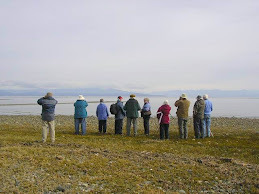 The Tuesday bird walk went to the Brant Viewing Platform and the Little Qualicum River Estuary in north Qualicum Beach. The morning started out cloudy with light rain, but the sun came out, making for one of the first sunny walks in a long while! Thousands of Surf Scoters, twenty Long-tail Ducks, several Lesser Scaup and hundreds of Greater Scaup were seen from the viewing platform. Several Bald Eagles were seen resting on a log along the shore. A Western Gull and thousand's of Mew Gulls, California Gulls, Thayer’s Gulls and Glaucous-winged Gulls were flying and resting on the shoreline and gravel bars all morning. Hundreds of Common Goldeneye and Barrows Goldeneye were seen on the Strait just beyond the gravel bar at the estuary. A large number of Common Mergansers’ were roosting on the River. We spotted a Cooper’s Hawk perched on a tall Conifer Tree on the estuary giving us great views. 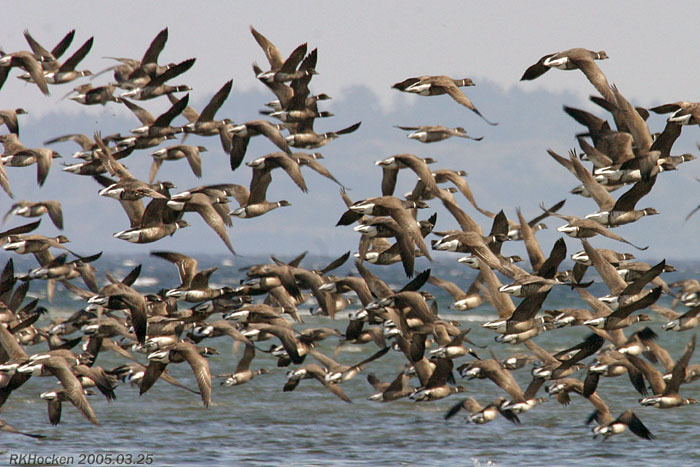 There were an estimated three thousand singing Brant Geese not fifty feet from the shore----a great sight! A first of the year a Turkey Vulture was seen above the Waterline trail off Nanaimo Lakes Road in Nanaimo. Two Violet-green Swallows were seen above Arrowsmith Road in French Creek. A Ring-necked Pheasant was seen in the Sherwood Forest area of Nanaimo. 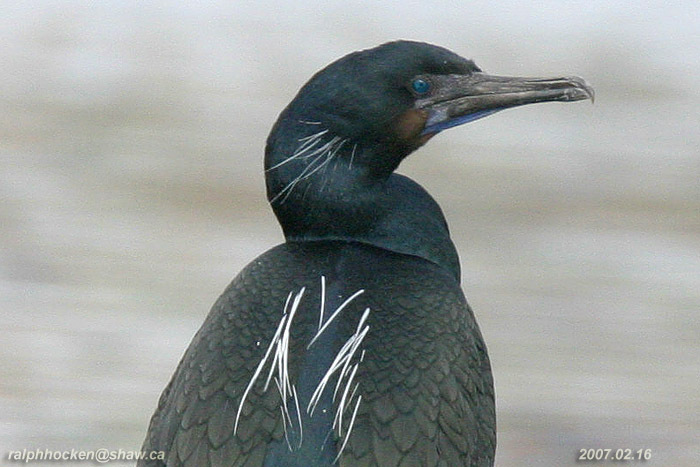 The Sunday bird walk on March 26, 2017 will be going to Neck Point Park in Nanaimo. Meet at the Birdstore at 9:00 a.m. or at the main parking lot at Neck Point (off Hammond Bay Road) at at about 9:15 a.m.